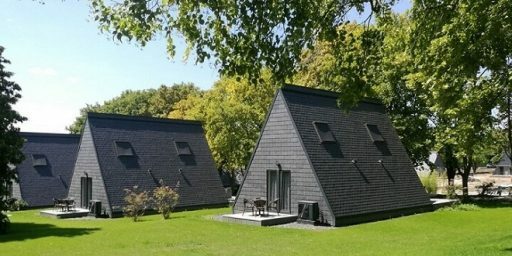 A “visionary” dwelling has been built: the Split House. Fragmented naturally by its surface with a clearly defined visible side facing other houses of the neighborhood, but keeping a “private” side open to the natural environment. Its final look is striking. 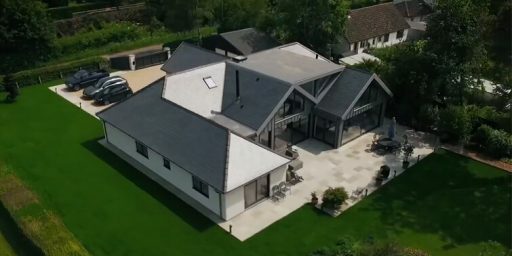 Near Pett (UK) this private hilltop residence was built to replace an old bungalow. Here, landscape integration was a major prerogative: it required an environmentally friendly residence to highlight the views of the valley, the coast and the neighboring village. Thus in this natural context, subject to prevailing winds, the volume of the building was naturally divided into two different but well-balanced parts. This family home combines sustainability with a forward-looking look. 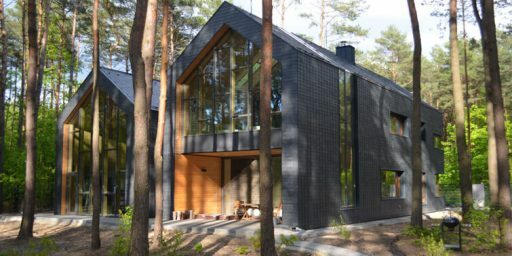 The house, which has a total surface of 400 square meters, was completed in 2014, after a construction period of 18 months. 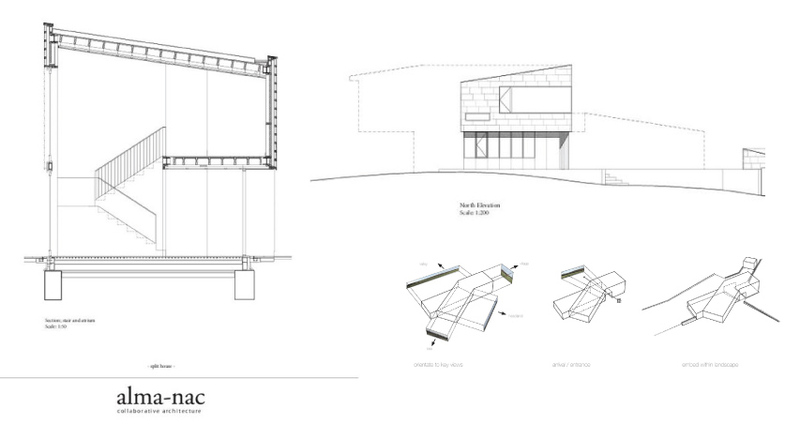 The goal of Alma-nac architects was to create a building promoting its enviable location around a natural environment, offering 360 ° views. The structure is laid on a concrete slab made of steel, totally insulated and covered with wood; the facade features natural slate. 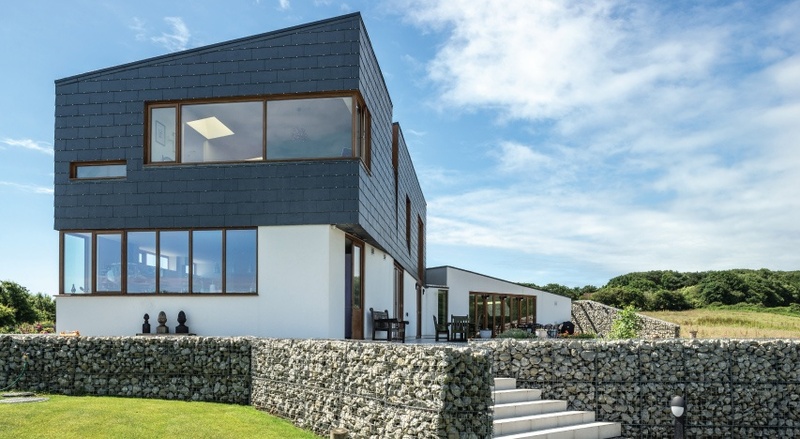 Here, the CUPACLAD® 201 Vanguard rainscreen cladding system has reduced the number of slates by a third while giving the house an elegant and very contemporary look. 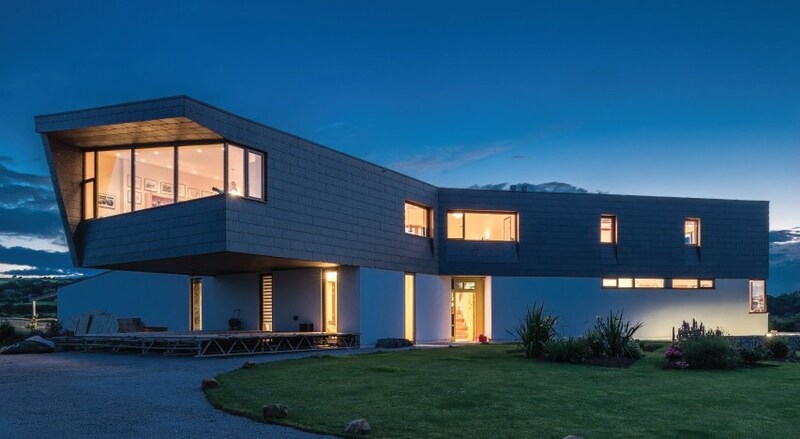 The shape of the building, the choice of natural slate and the stainless-steel clips, in the extension of the wooden corners, creates on the split house a play of shadows and lights throughout the day. CUPACLAD® has arrived to revolutionize natural slate facades. Its installation is fast and the final look is particularly aesthetic. 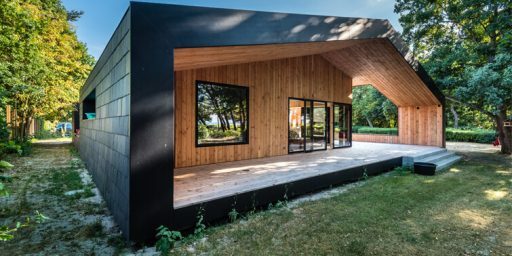 One proof of this is the Split House, which is displaying an angular geometry that rises towards the landscape and ends with a wooden arbor, with a private garden next to it, in the continuity of the neighboring flowering meadows. 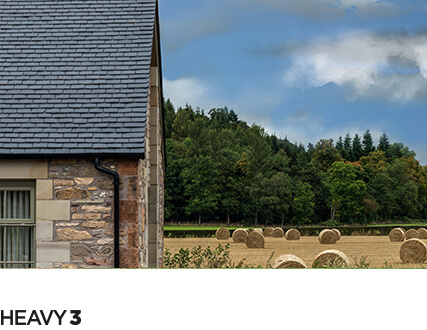 CUPACLAD® offers 100% natural slate rainscreen systems perfectly designed to fits into the latest sustainability trends. 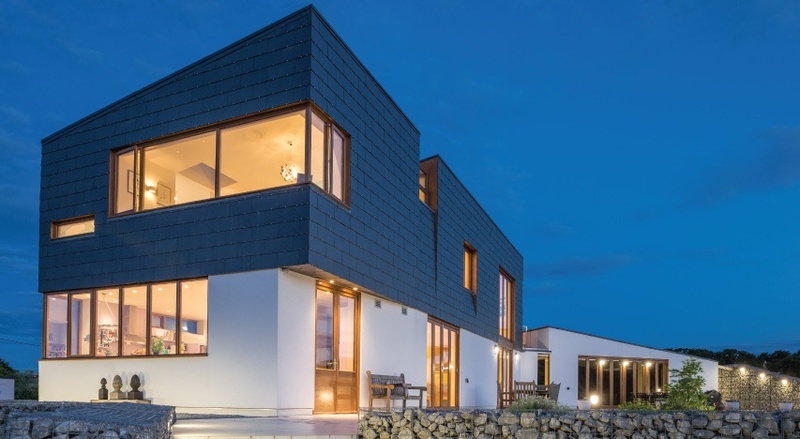 CUPACLAD® 201 VANGUARD, installed on the second floor of the home, combines different formats of slates and stainless-steel clips, helping to prevent moisture while improving the contemporary look of the house. 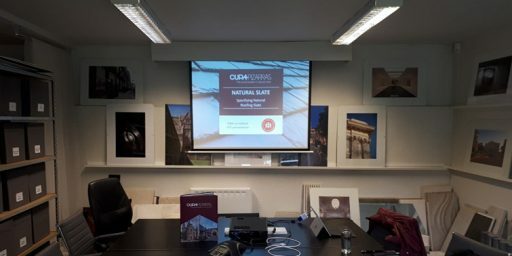 The architects also emphasized the desire to engage with the environment, and CUPACLAD® 201 Vanguard gives it an extra boost to fit into its surroundings. We were trying to recall a solar clock, so the changes in weather and the movement of the sun is expressed through the building, and this natural slate cladding, with small stainless-steel clips reflecting the light at certain angles, was the solution. It is perfect to express the course of time with the shadows. To find out more about our ventilated facade systems, download here the CUPACLAD brochure. 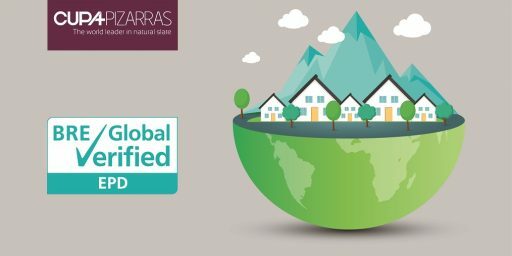 CUPA PIZARRAS shortlisted for the CN Specialists Awards 2018!